The UN's top court said Thursday it will hold hearings in June into Malaysia's request to overturn its ruling in a decades-old dispute with Singapore over a tiny but strategic island. The International Court of Justice (ICJ) "will hold public hearings in the case concerning the revision of the judgement of 23 May 2008 in the case concerning sovereignty over Pedra Branca/Pulau Batu Puteh." 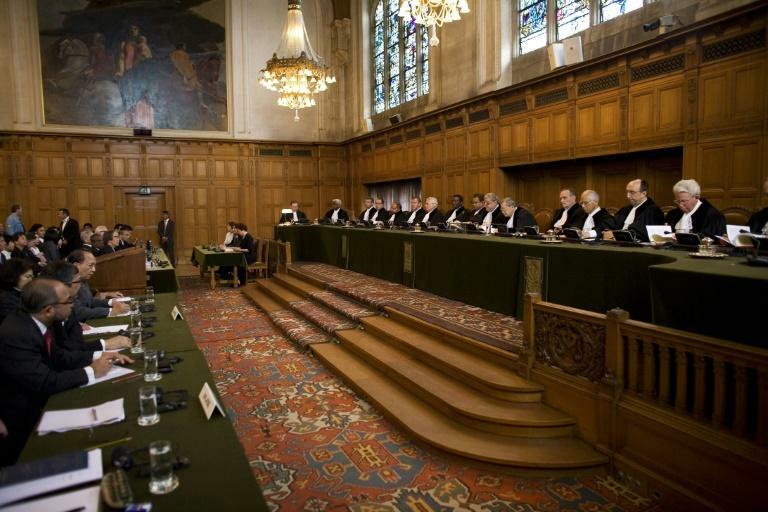 Four days of audiences will be held starting on June 11 in the imposing tribunal housed in the Peace Palace in The Hague, the ICJ added in a statement. Kuala Lumpur maintained new documents had been discovered in British archives backing its territorial claim to the islet. Malaysia calls the island Pulau Batu Puteh, while Singapore dubs it Pedra Branca (white rock). The island is in a strategically important position, 7.7 nautical miles (14 kilometres) off Johor on the eastern approach to the Singapore Strait from the South China Sea. Singapore had operated the Horsburgh Lighthouse on the granite island for more than 130 years without protest from its neighbour. But in a map of its maritime boundaries drawn up in 1980, Kuala Lumpur staked its claim to the islet. After years of failed negotiations, the parties turned to ICJ, which in 2008 ruled the island belonged to Singapore. Another rocky outcrop called Middle Rocks was found to belong to Malaysia, while a low-tide bank called South Ledge was deemed to be in overlapping territorial waters. But in its 2017 filing, Malaysia asked the court to revise that judgement based on the discovery of three documents in the British national archives between August 2016 and late January 2017. They included internal correspondence from the Singapore colonial authorities in 1958, a British naval incident report from 1958 and a map from the 1960s. Kuala Lumpur maintained these documents showed that "officials at the highest levels in the British colonial and Singaporean administration appreciated that Pedra Branca/Pulau Batu Puteh did not form part of Singapore's sovereign territory," according to the ICJ. Under the court's rules, states can ask for a judgement to be revised if new facts come to light within 10 years of the first ruling. In a separate filing, Malaysia has also asked for an interpretation of the 2008 ruling, saying despite having formed a joint committee with Singapore the two countries have failed to delimit their maritime borders in the area. The ICJ will also hold four days of hearings on this filing between June 18 to 22.